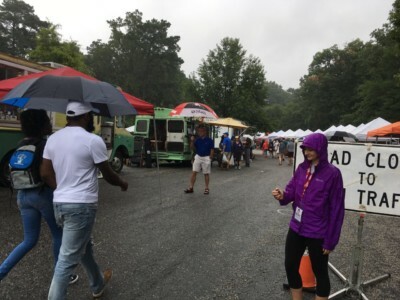 During National Farmers Market Week — August 4 – 10, 2019 — farmers markets across Virginia will count their visitors. VAFMA will sum up the counts and publish the total. 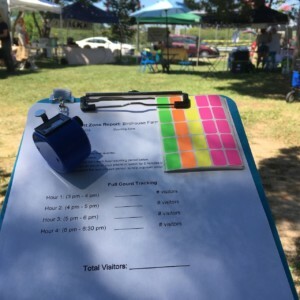 Having a statewide count will give us all a better understanding of how many people Virginia’s farmers markets serve. Currently, there aren’t any statewide estimates of customers attending farmers markets. We chose Farmers Market Week to help everyone remember to participate. Visitor counts are an easy way to get started in data collection and this packet explains how to do it. All market managers who commit to participating in Visitor Count Week will receive our 2019 Social Media Content Calendar. In it we share special dates, marketing ideas & monthly tips to help you plan your farmers market promotions. Register today to download it. We appreciate your participation and are available to answer any questions you may have. Contact Mary Delicate for assistance.